Creativity be damned, the game is a victim of its fascination with mouse controls and pixel-to-pixel accuracy. By ditching the tile format that makes games like Pipe Dream simple to play, Laser Light adds a new layer of complexity that dramatically ‌– even unfairly ‌– raises the difficulty. 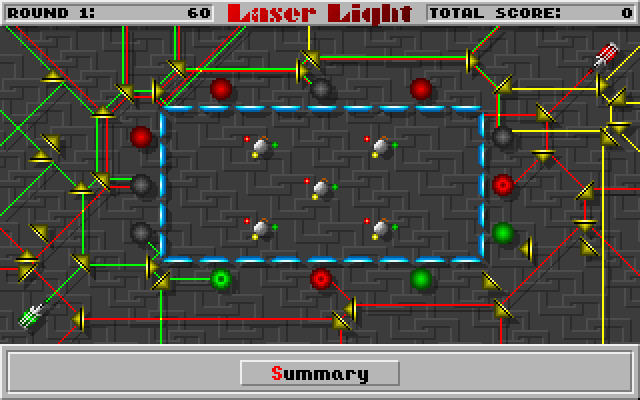 The game’s main objective is to direct laser beams to hit specific spots on the board. You do this by using a small set of mirrors, refractors, and other nifty devices to angle the laser around a series of obstacles. Bonus points are awarded for hitting extra targets (usually pieces of fruit) along the way. 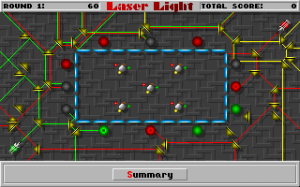 The variety in the puzzles is almost immediate, with different-colored beams firing at difficult angles. By the end, you’ll also have to contend with bombs, color changers, and all manner of obstructions. Laser Light occupies an odd intermediate spot in the puzzle game pantheon. It’s the type with multiple difficulties and a couple dozen puzzles that you can jump between, with an end goal of total completion. But it also encourages fast work over methodical planning; each stage has a five-minute time limit, and any misfires subtract 10 points from your possible end-of-level reward. You can only get full credit for puzzles if you get through them with both speed and accuracy. Both those criteria are fair, but the two styles don’t work particularly well in tandem. The need for perfection in the first round discourages experimentation and ultimately questions the need for the pursuit of a high score at all. That renders the bonus fruit unnecessary and takes the wind out of the metagame. Even with a significant chunk of the replay value missing, Laser Light still has a major mechanical problem. Objects can be placed at any point rather than snapping to large tiles. 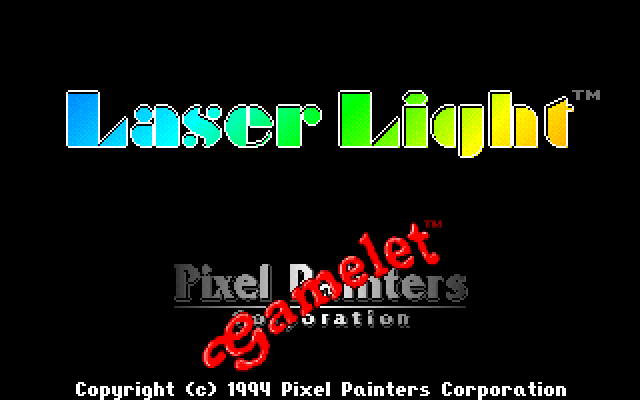 Since the lasers reflect with pinpoint accuracy, this leads to some immensely frustrating situations where a laser will hit a mirror a few pixels off, causing the entire contraption to fall apart. Again, this trashes the scoring aspects of the game, but it also leads to frequent and mostly unfair losses. Nothing can ruin a puzzle game like failing on a technicality, and Laser Light is loaded with that sort of nitpicking. In fairness, you can bring up a directional grid with the right mouse button, but aligning your mouse properly across multiple mirrors is an arduous task in itself. I could normally recommend Laser Light for its clever puzzles and steady difficulty curve, because it does offer some compelling puzzles. The game just has too much broken at its core to be a worthwhile experience.